I am thinking of picking up a Ball the next time I am in Singapore in a couple of months. I saw one model that had a similar mesh style bracelet like the Brietling Super Ocean for around $1200 that seemed like quite a bargain. 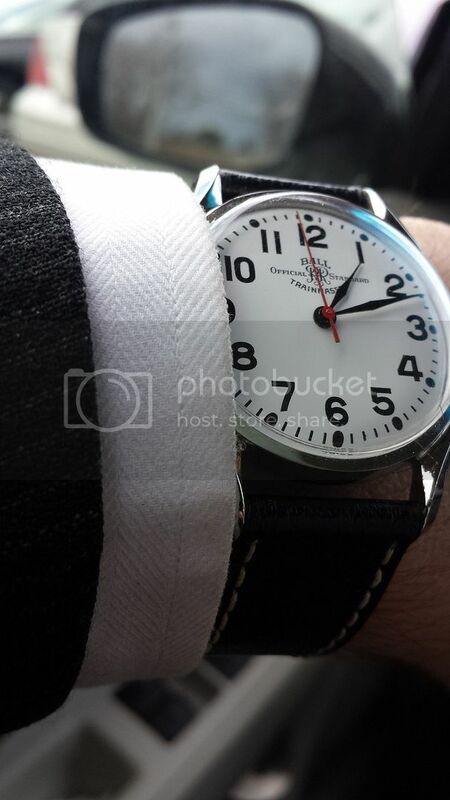 I just looked on their site and did not see a watch with that bracelet. 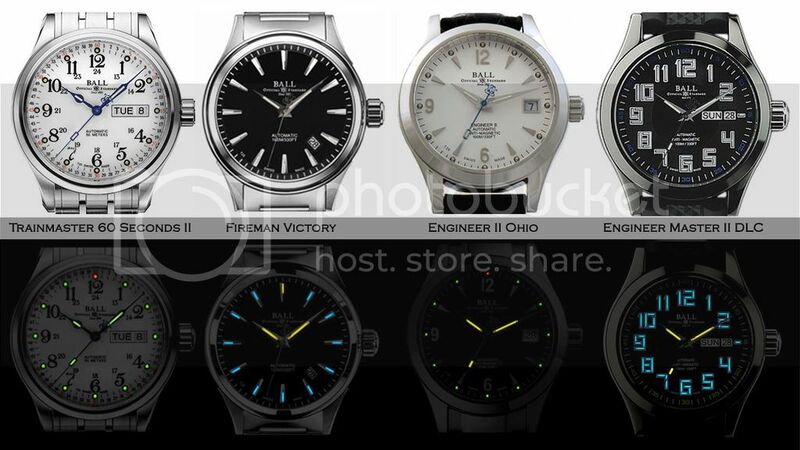 I found in general that some watches, the dealers have more options than what is shown on the site. Especially for Rolex; there's too many variants for them to post all the combo's online. This was my first one. The Hydrocarbon Ceramic XV voted watch of the year 2012. I got it at around 20% off. The red label I bought used from Topper for more than half off retail. I think they're a great value and I get plenty of compliments on them. Newest citizen Promaster Aqualand arrived today. Damn thats three weeks salary for me! Nice watches Ball and Breitling are on my bucket list of watches. 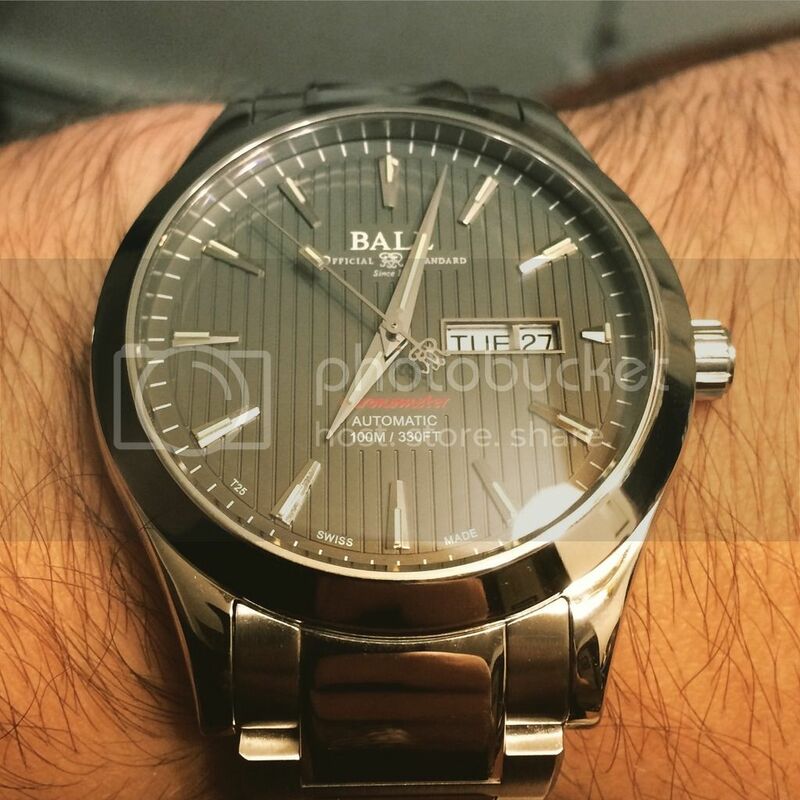 Have any of you been to a Ball watch vendor? Their displays are pretty cool. Ball does a great job on the finishing. Seems like Middle East & Asia are their main markets. In Singapore, tons stores sell them; then again Singapore is the watch capital of the world by a long shot. Typically, the mid level kind of stores where Breitling, Ball, TAG would be their highline brands. I couldn't find a quick picture of the Ball mesh bracelet, but it's exactly like the Breitling which is super comfortable and en vogue right now. I like that vintage a lot. 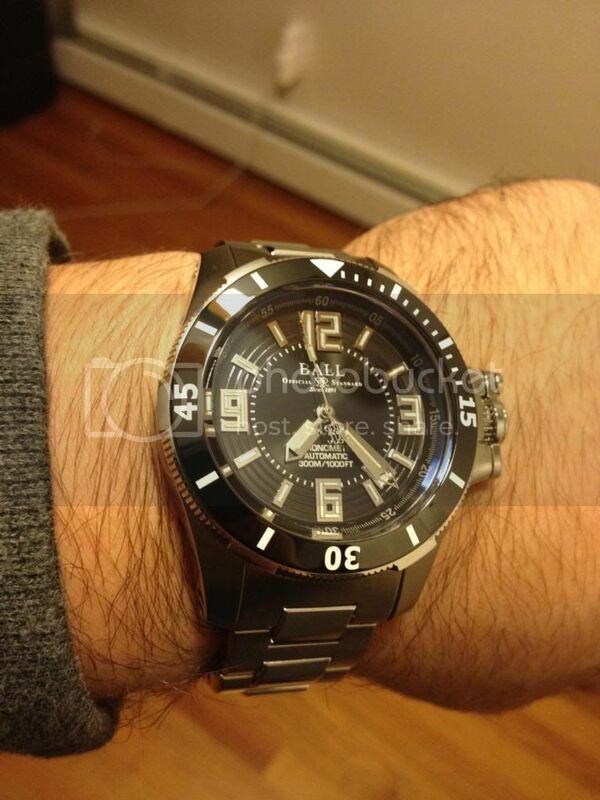 I wanted an Omega Aqua Terra but it was a bit too expensive. The red label looks very similar to an aqua terra and at a fifth of the price of an omega, I couldn't resist. Those Ball watches are super nice. IF (BIG IF) I ever wear a watch again, these would be at the top of the list. Vintage Heuer would be 2nd. Two current ones, Marathon JSAR and Citizen Aqualand...need a nice auto now. No, I haven't seen their version. I may just have to check it out. Thanks for the heads-up.